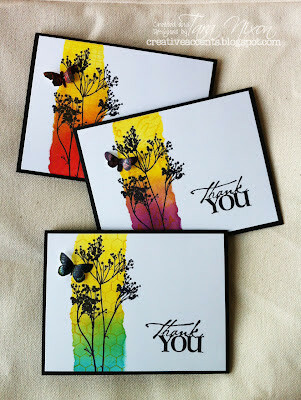 I just love sketches- and here's two great links with monthly downloads I think you're gonna love, too! This month PageMaps has some RoundMaps in addition to the usual 12x12 maps Becky puts out each month- they're such a fun way to mix things up, I challenge you to try one of them! 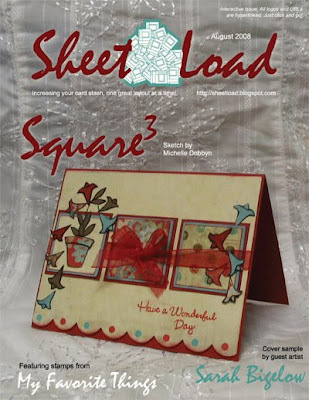 Check out the Sheetload of Cards blog for their new August web-zine you can download- it's got a new sketch this month, all the details for measuring and cutting to do some mass producing (have a stash of cards ready to go!) and some great samples this month using stamps from My Favorite Things (who we'll be ordering from again real soon- so let us know if you'd like anything!). Enjoy! Happy BC Day- we'll see you back in the store tomorrow!